We conduct post-sales cycle reviews with sales teams. In a lost sale, the sales person often makes “price” the culprit. Pricing causes some sales to be lost, but often is just a scapegoat. Properly positioned, price can be an advantage. What will I receive (in savings or increased revenue)? What will I have to pay to get it? If the value generated exceeds the price to receive the value, the investment is viewed favorably. Otherwise, there will be no sale, or the price will have to be altered to make the ratio more favorable (think: discount). We often ask the sales people if the value of the proposed solution has been quantified. Two answers we often hear are: “They haven’t required us to provide an ROI” or “We don’t have an ROI tool.” At best, heavy discounting is just over the horizon. At worst, the sale will be lost. Successful sales professionals sell money. Sure there’s a product, service or solution involved, but at the end of the day the winning solution delivers a positive financial return to the buying organization. For every $1.00 invested, the proposed solution must return at least $1.01 or more. Not every organization will achieve a return of $1.01 or more. The difference between Prospect A and Prospect B can be substantial. The point: Quantify the economic value proposition to determine which buying organization(s) will realize a positive return and which will not. Use this strategy early in the cycle. Example: Jane Sales Exec meets with prospective buying Organization A. After an initial round of questions, she estimates her solution will cost Organization A $30,000 per month (or $360,000 annually). Initially, some may say “That’s a lot of money!” By itself $360k is a lot of money. Before Jane makes any proposals, or offers any pricing estimates, she asks business questions around the problems her solution solves. In Organization A she finds five areas where her solution should collectively generate around $3.5 Million in annual value. Next Example: Using the same process Jane estimates that Organization B will have to pay $40k per month for her solution. She surveys the same five areas concluding that her solution will only generate around $400,000 in annual value. So Organization A, for a $360,000 annual investment, will achieve $3.5 Million in value. That’s a return of 9.7x ($3,500,000 / $360,000). At Organization B, an annual $480,000 investment will generate $400,000 in value. That’s a return of .83 (or less than 1x). In other words, this investment will be $80k in the red – every year. Jane opts to focus on the Organization A opportunity. In fact, she tactfully informs Organization B that she does not believe her solution will be a good investment for them and respectfully bows out of the running – early in the process. Jane’s solution technically impacts the client’s manufacturing department by increasing speed of processing and the quality of finished goods. Those are the outcomes the production line people want to hear about. The economics associated with that may not be as exciting to them. So, Jane gets one of the Buyers who is excited about Jane’s proposed solution to schedule a meeting with the CFO, who will be interested in the economic value proposition. Jane shares with the CFO the logic used to conclude that her solution will generate $3.5 Million in value. The CFO makes an adjustment and lowers the annual number to $3.2 Million. At this point, the $3.2 Million estimate is no longer Jane’s estimate. It is the CFO’s number, meaning Organization A now owns this projection. Next, Jane prepares an executive presentation to be made in front of the CEO, VP of Manufacturing, COO and CFO. Her presentation starts with a slide stating “This is about saving/making Organization A $3.2 Million per year.” She shares that, across 5 areas of the organization she interviewed, the sum total of $3.2 Million in value will be derived. At some point in the presentation, the CEO asks if the CFO is comfortable with the $3.2 Million number. The CFO confirms this, which will be huge at the negotiating table. What needs to be acknowledged is that Price is only one half of the ROI ratio. If Jane had initially offered to Organization A that the annual fee would be $360,000, some might think that to be a very Big Number. Instead, by first getting the organization to agree Jane’s solution is annually worth $3.2 Million (compared to $360,000 per year) the Return becomes the Big Number. Who wouldn’t invest $360k to receive $3.2 Million (a 8.8x Return)? C-Suite executives understand the Time Value of Money. Jane calculates that her solution’s ability to generate $3.2 Million annually breaks down to $266,666 per month. In other words, every month Organization A goes without the proposed solution is a $267k missed opportunity. She uses this logic to motivate Organization A to quickly begin and conclude the negotiations on a good partnership deal without reducing the price. After all, the value of using her solution for 2 months exceeds the annual payment. In other words, every month Organization A goes without the proposed solution is a $267k missed opportunity. Know the economics of what you are selling. 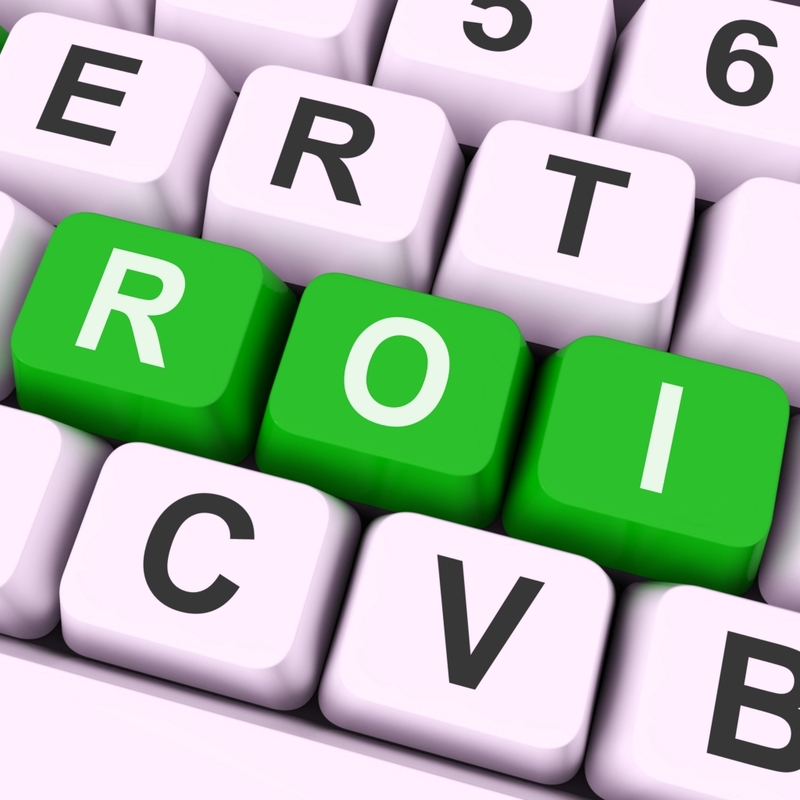 A sophisticated 3-dimensional ROI model is not needed to begin calculating potential value. Ask the people working in the buying organization what it costs for each incident of the problem to be solved. How often does it occur per: week/month/year? By what percentage will your solution potentially reduce the problem’s occurrence? Seek out those numbers. Use quantification as a qualification strategy. Jane could have wasted a lot of time selling to Organization B. Functionally, her product could be superior, but the price would have had to be reduced, and the organization would always view the solution as expensive. After all, the point of qualifying is to disqualify. Sell money to the people who are interested in money. Sometimes there is no budget for what you sell. Or the budget allocated for the acquisition is lower than your price. Getting financial folks on board – who have access to discretionary funding – can cause money to be moved around. Perhaps it makes more sense for the buying organization to invest in your solution than to pave the parking lot this year. Or better yet, maybe this investment will pay for the paving of the parking lot.